Once upon a time, there was a native Bacoleña, having grown up and spent her formative years in Bacolod City. As a kid, she took the Masskara Festival for granted and viewed it only as a day where there were no classes and where she and her friends could go out and party in the city proper at night. She never bothered to watch the street dancing because it was usually scheduled during the hottest part of the day, at noon. She only watched it on TV, from the comfort of her home. It was only when she graduated, moved to Manila, and began traveling all over the Philippines and participating in several other fiestas, that she finally began to think of the Masskara festival. Lost in thought, she wondered why she never went out to see it. It's quite ironic that only when she left Bacolod did she finally want to experience the fiesta the way it was meant to be experienced. Sadly, she realized with regret that youth has a way of making you blind to what you already have until it's gone but fortunately, for some things, it's not yet too late. When she came across Airphil's page in Facebook, hope blossomed in heart and she truly prays that she would win the blog contest. I may be older now and hopefully, a little bit wiser not to take things for granted. And truly, I hope to share the beauty of my hometown to the Manila friends I will bring along in case I win this blog contest. And of course, I will blog about it too, as a way of chronicling my experiences and promoting local tourism. Bacolod has so much to offer: not just the Masskara Festival, but also several other sights and attractions that make each Philippine destination unique. Here's to hoping for a happy ending to my story! Cheers! 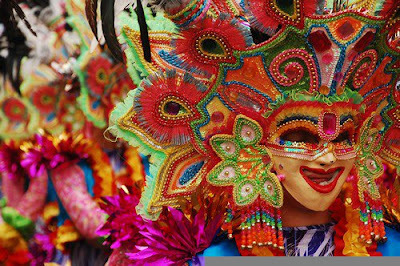 Experience MassKara Festival, Hermosa Festival and Lanzones Festival this October. Airphil Express flies daily to BACOLOD, ZAMBOANGA and CAGAYAN DE ORO from Cebu and Manila. Visit www.airphilexpress.com to book!